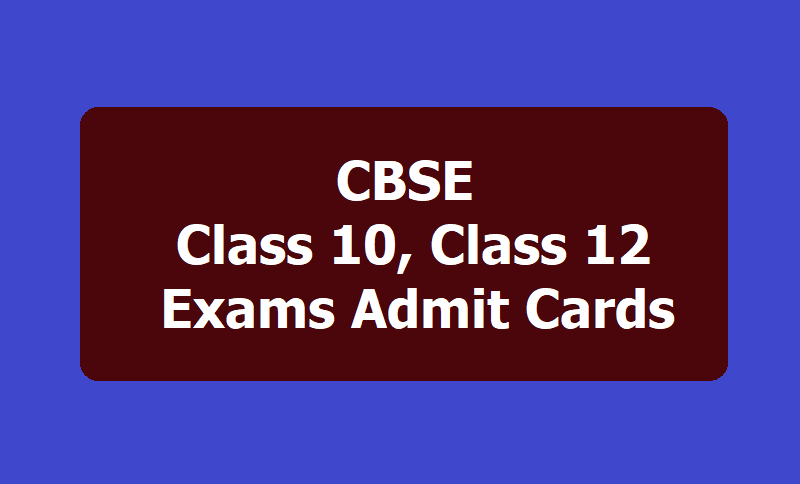 CBSE Class 10, Class 12 Board Exams 2019 Admit Cards download from cbse.nic.in: Central Board of Secondary Education, CBSE has released the CBSE Class 10th, Class 12th Board Exam 2019 admit cards. The roll number for the regular candidates have been made available for download by the schools on cbse.nic.in. Students are required to get in touch with their respective schools or institutions to collect the admit card. Important instructions regarding CBSE Admit Cards are provided below. Class 10 and Class 12 examination will commence from February 15, 2019 onwards. CBSE has only released Class 10 Admit Cards at present and CBSE Class 12 roll numbers or admit cards would be released soon. a. Your School Principal’s signature. Candidates appearing for the CBSE Class 10, Class 12 Board exam need to check few of the other instructions as well. 1. No candidates will be allowed to enter the exam centre after 10 am. 2. Candidates should go in school uniform and with school identity card along with the identity card issued by the school. 3. Candidate should not carry mobile or any electronic items and all barred items to the exam centre. 4. Before appearing for the exam, candidates should read the amended rules for unfair practices. In case the admit card is without photograph, your school would provision for the same or stamp the photograph after pasting the same. Students and parents are advised to check for all these. Remember, an unsigned admit card would not be permissible and students may not be allowed to enter the examination centres.